Hydrate and nourish skin with this rose infused facial serum and multi use oil. 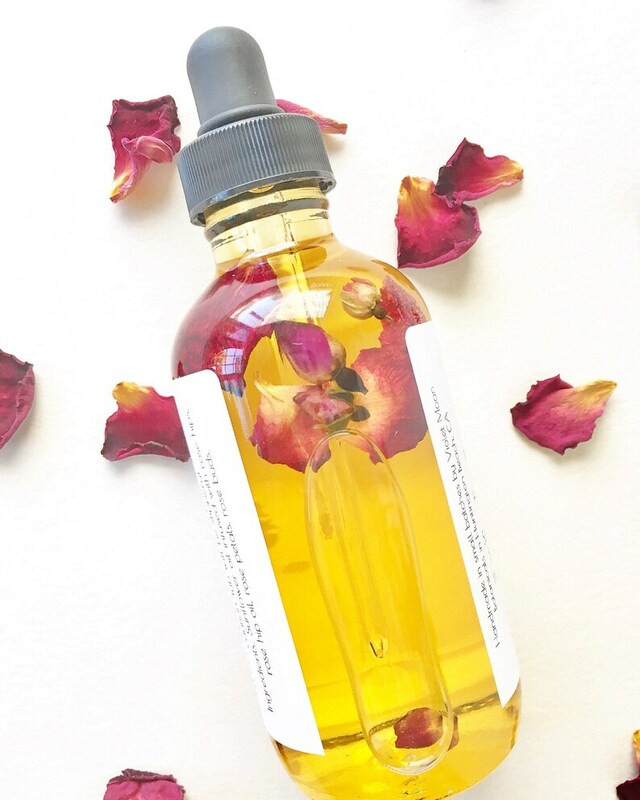 This rose facial oil features sunflower oil that is infused with rose hips using a solar infusion method to extract all the skin conditioning properties to help moisturize dry skin. In addition to facial care, this product may also be used as a bath or body oil. Rose hips are one of the best moisturizers for dry skin, rose hip oil soaks into the skin easily, and does not leave a greasy residue. Solar infusing rose hips extracts the essential fatty acids they contain to condition and hydrate dry skin. Sunflower oil is know for its non-comedogenic nature so it won't clog pores. Sunflower oil is rich in oleic acids as well as vitamins A, D and E that deeply condition skin, and leave skin hydrated. The rose petals and buds that this oil contains are rich in antioxidants and vitamin C and give it a lightly aromatic scent, while adding even more hydrating properties. This product is available in unscented or light rose scent. A little goes a long way! Use a few drops to moisturize face or body, or use a small amount as a bath oil. The rose hips and flowers in this product are straight from my organically grown garden, where I harvest and dry fresh California herbs and flowers by hand. All ingredients are sustainably harvested, picked at their peak state and preserved for your enjoyment. 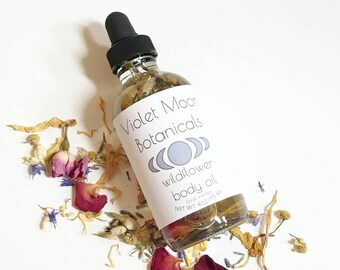 Ingredients: sunflower oil solar infused with rose hips, rose hip oil, rose petals and buds, (If Scented: rose geranium essential oil, rose absolute(grape-seed oil, rose absolute)). 1 made to order glass bottle with dropper containing 4oz. of rose infused facial oil your choice of scented or unscented, that may also be used as a bath and body oil. 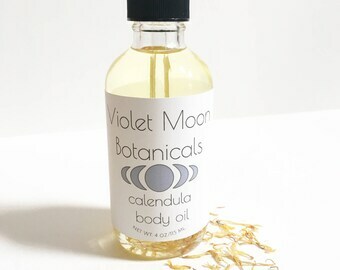 For more natural beauty products, including more facial care products and moisturizers, multi use oils, rose infused products, and vegan skincare products as well as other spa and relaxation products check out our etsy homepage! I love this stuff. It is the best. Thank you so much! Love this product. This is my second bottle. It is not a miracle in a bottle BUT it does help my sixty year old face look moisturized and evens out my skin tone before putting on my makeup. It also helps on the dry elbows.